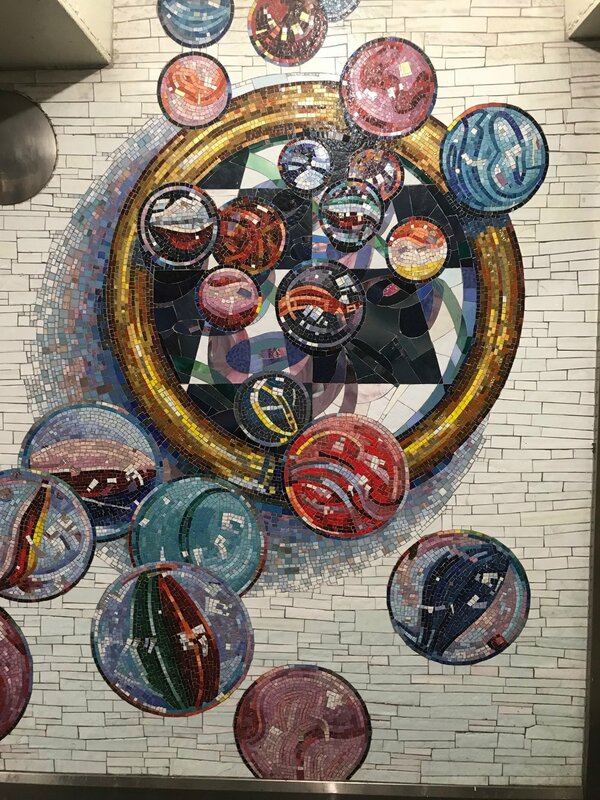 Apart from moving you from A to Z while traveling around on the subway system of New York City, you also get glimpses of art installations commissioned at different stations. On the 42nd Street Station and the Port Authority Bus Terminal, the walk tunnel has had mosaic walls of celebrating people as long as I can remember, but the other day I noticed some new mosaics on the regular white subway tiles. All round mosaics in the most wonderful pattern. They picture small glass marbles, and they look like pieces of quilt or crochets being adapted to mosaic tiles.